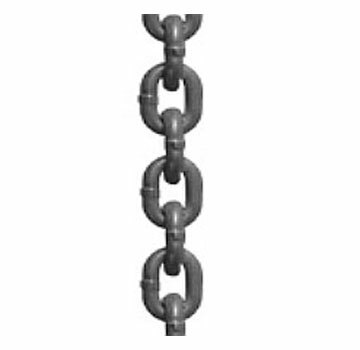 PRODUCT: 5/16" ANCHOR CHAIN, PROOF COIL CARBON STEEL, ZINC PLATED, 1900 LB. CAPACITY. 92 FEET/PAIL. PRICE/PAIL. See Safe Lifting Chart. All rated capacities consider a straight vertical lift.